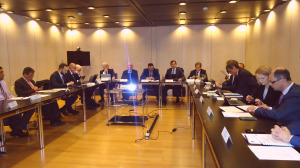 our Association has been set up on 19 April 2012 with the long-term vision of promoting the integration of the Mediterranean Power System, by reinforcing the multilateral cooperation among the Members and increasing the electricity exchanges across our countries. Companies from twelve countries signed the funding act in Rome and, within the next seven years, TSOs from other seven countries joined the Association that now almost covers the entire Mediterranean basin, gathering 21 TSOs from 19 countries. After a pioneering phase where we had to demonstrate at first the attitude of TSOs to cooperate in a fruitful manner, the Association is now entering into a more mature phase of its history. The Mediterranean Project 1 (carried out from 2015 to 2018) and its deliverables have gained a lot of positive comments and evaluations, both from the European Commission, which co-funded our work, and from the regional stakeholders. The new project that we are running since June 2018 - the Mediterranean Project 2 - represents a new challenge but also a new opportunity to reinforce our position as a reference in the Mediterranean region. Our role, recognized by all the regional actors, is of paramount importance. We strongly believe that the development of a more integrated and efficient electricity transmission infrastructure in the Mediterranean is a strategic driver for facilitating the energy transition in the region. The role of the transmission companies is changing everywhere: in many cases the energy transition has determined, or is going to determine, a full unbundling of the grid operation from the other activities in the power sector, with a consequent shift of paradigm for our companies. Integration is no more an opportunity but a real necessity for tackling efficiently and effectively this challenge and managing the relevant risks. In this dramatically changing scenario, Med-TSO plays a crucial role, as an incubator of new practices and experiences in the region and as a catalyst of innovation and new technologies. Med-TSO representatives participated to the Conference “Leading practices in RES integration” organized by Renewables Grid Initiative (RGI) on 9-10 April, hosted by Red Electrica de España in Barcelona, back to back to the General Assembly of the Association. The conference aimed to display best practices of RES integration from different regions of the world: the three main topics were regulation, technical integration and societal engagement. 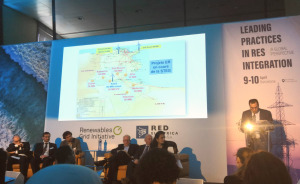 The President of Med-TSO and CEO of STEG (Tunisia), Moncef Harrabi, presented the situation of the renewables integration in Tunisia, stressing on the importance of the development of interconnections in the Mediterranean region. The Secretary General of Med-TSO, Angelo Ferrante, illustrated the lesson learned by the Association on the integration of renewable energies, showing the outcomes of the Mediterranean Project 1. This project was carried out by Med-TSO from 2015 to 2018 and it has in the ongoing Mediterranean Project 2 its natural continuation. The Renewables Grid Initiative is a non-profit organization with 21 Members from 12 European countries. it promotes transparent, environmentally sensitive grid development to enable the further steady growth of renewable energy and the energy transition, through the collaboration of environmental NGOs and transmission system operators. The Mediterranean Project 1 is a first step in the roadmap towards the integration of the regional power systems. 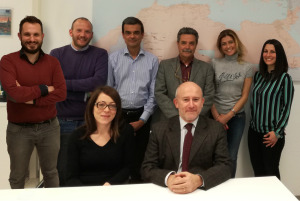 After the good results achieved, in the frame of the Mediterranean Project 1, Med-TSO intends to continue, consolidate and improve the activities carried out so far with a new project: the Mediterranean Project 2. The European Union supports Med-TSO with a new grant contract to develop the action plan of this new project from 2018 to 2020. Its contents are the sole responsibility of Med-TSO and do not necessarily reflect the views of the European Union.